Guests attending a black light party expect a glow-in-the-dark, psychedelic atmosphere. They probably wonder, though, what kinds of games would work well in such a darkly lit environment. With the use of glow necklaces, glow sticks and other items that illuminate under black light, party guests can play games that they would play in a brightly lit setting. Black light party guests pop balloons in a glow balloon relay. After dividing into two teams, the first players in line race to the opposite end of the play area, sit on an inflated glow balloon and pop it. Players then race back to tag the next person in line, who repeats the action. The first team to pop all of its balloons and have all team members make it back to the start line wins. For another black light balloon challenge, the host tosses a balloon containing a "Truth or Dare" into the crowd as guests dance. Guests hit the balloon back and forth; once the music stops, the last person to touch the balloon pops it and performs the action. The host then restarts the music and tosses another balloon into the crowd for more play. Classic kids' games get a black light party makeover. In a game of glow-stick tag, the host chooses one guest to serve as "It." The "It" player takes a glow stick and counts to 50 as all other guests hide. If "It" tags a player, the caught player takes the glow stick and becomes the new "It." For a black light version of hot potato, guests sit in a circle and pass around a glow-in-the-dark ball. With uptempo music playing, guests pass the ball around the circle. When the music stops, the player left holding the ball takes himself out of the game and puts his hand in a bowl of unseen contents -- for instance, prepared gelatin or cooked, cold spaghetti. Play continues until one player remains. Party guests put a black light twist on sporting games. For a game of glow-in-the-dark volleyball, the host puts glow sticks across and down the net. The host also tapes glow-necklace pieces on the volleyball. Alternately, players may use a glow-in-the-dark balloon as the volleyball. Guests divide into teams and follow regular volleyball rules. In another sporting activity, party guests toss a glow-in-the-dark flying disc around the room. Guests wear glow sticks or necklaces around their necks during this game. Players take themselves out of the game upon dropping the disc. The last player remaining wins. 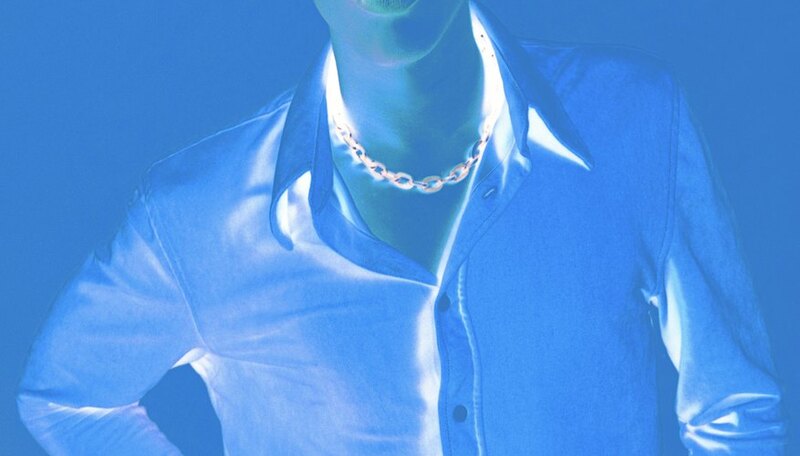 Glow necklaces serve as "horseshoes" in a black light version of the classic tossing game. The host puts neon tape on the "horseshoe" poles and establishes a scoring system. Players hurl glow necklaces toward poles and score points for landing necklaces around the poles or close by. The player with the most points wins. Putting a black light spin on beer pong, the host fills six clear cups with tonic water that glows when placed under black light. The host then arranges the cups in triangle fashion on two sides of a table, directly opposite each other. Teams of two take turns bouncing balls on the table and aiming for the opposing team's cups. Teams drink the contents of a cup when an opponent lands a ball inside of it. The first team to drink all of its cups loses. What Are Glow Sticks Used For?